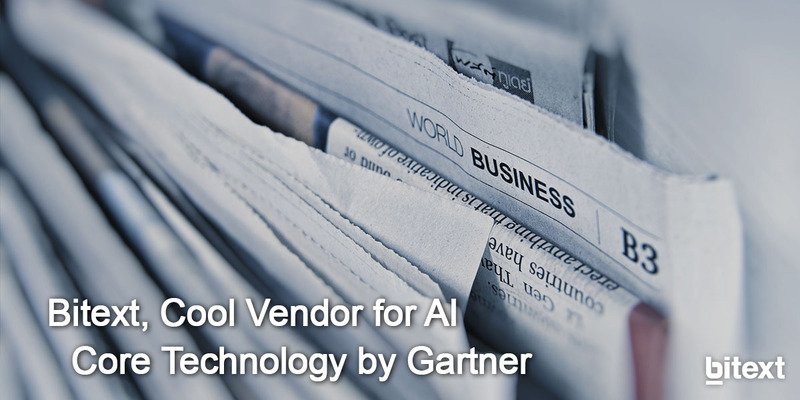 Last week, Bitext was included in the selective list of "Cool Vendors in AI Core Technologies” by Gartner, Inc. We have been recognized for our NLP Middleware technology for conversational bots and virtual assistants. "With its suite of capabilities [NLP Middleware], Bitext can improve the performance of almost any conversational engine and project", Gartner writes in their report, signed by analysts Magnus Revang, Anthony Mullen, Nick Ingelbrecht and Tuong Huy Nguyen. "Bitext removes the complexities and variations of language from downstream platforms, which is a major improvement in workflow and complexity when developing AI solutions." We especially agree on 2 topics the reports highlights: middleware as a way to deal with the pace of technology, which we have been talking about a lot in the last months, and training data becoming the strategic asset, also a recurrent idea in our posts, as you may have noticed if you're a regular reader. Natural Language Generation (NLG), helpful at the training stage, to create a richer set of intents for training. Real-time simplification of user queries for a live bot, through our Query Rewriting and Query Rewriting + Negation services. Each year, Gartner analysts nominate vendors with innovations that have the potential to transform their markets. Only a handful are chosen for each report, and each vendor can only appear in one report. Vendors selected for the “Cool Vendors” report are innovative, impactful and intriguing. If you want to see for yourself how our technology works and how we are already changing the market, simply contact us.